​Looking to give your flat, limp hair more body and volume, a perm might just be what you need! Like waving a magic wand, getting a perm instantly adds volume and texture to your hair. Make an appointment with one of our perm experts to find out which type of perm best suits your face and hair type! 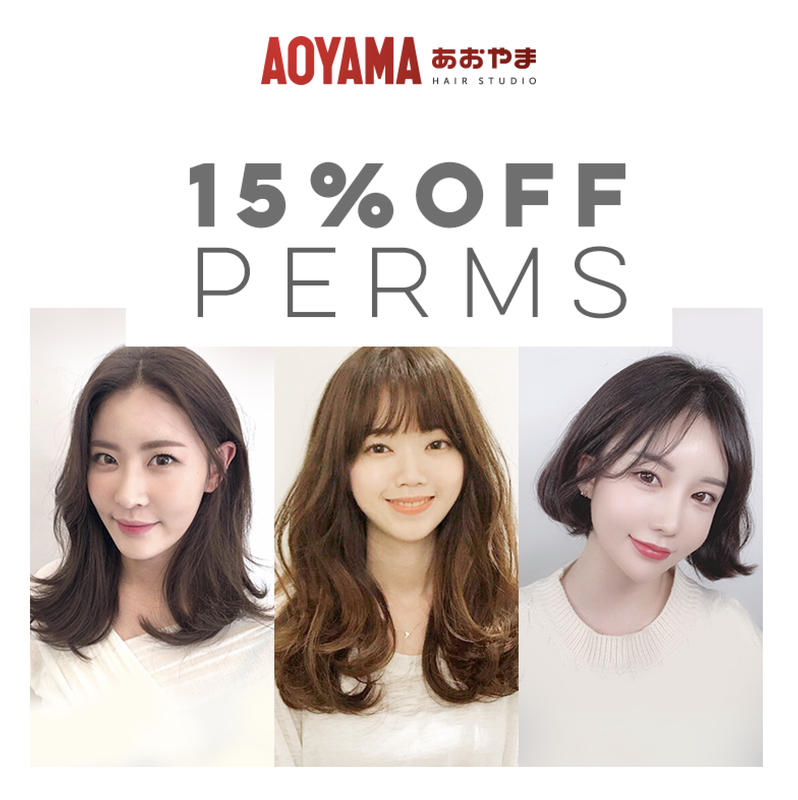 ​Please note the management of Aoyama Hair Studio reserves the rights to change our the pricing as well as terms and conditions of all advertised promotional offers without prior notice.